Located in the region of Tuscany, Pisa is located near the Ligurian Sea and was once a vital trading port during the 12th century. 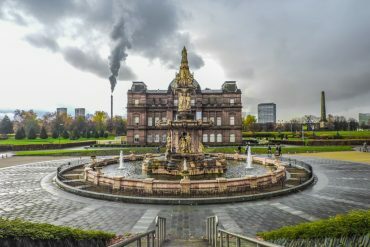 This city features plenty of exquisite architecture and history you can experience and learn about. If you plan to spend one day in Pisa, there’s plenty to do and see which can be overwhelming if you only have this short amount of time. However, with this itinerary, you’ll be able to visit some of the must-see places before the day ends. Florence is very close to Pisa so transporting yourself here won’t be that difficult and long of a trip. There are a few ways you can get to Pisa from Florence, the most popular being trains and guided tours. There are a few trains you can take to get yourself to Pisa. The easiest station in Florence (and often the quickest) to use is the Firenze Santa Maria Novella which will take you directly to the Pisa Central Station in about an hour. There’s also the Firenze Campo di Marte you can take to get you here. Trains at the station leave every hour so you’ll have plenty of opportunities to catch one. Check the train schedule here. 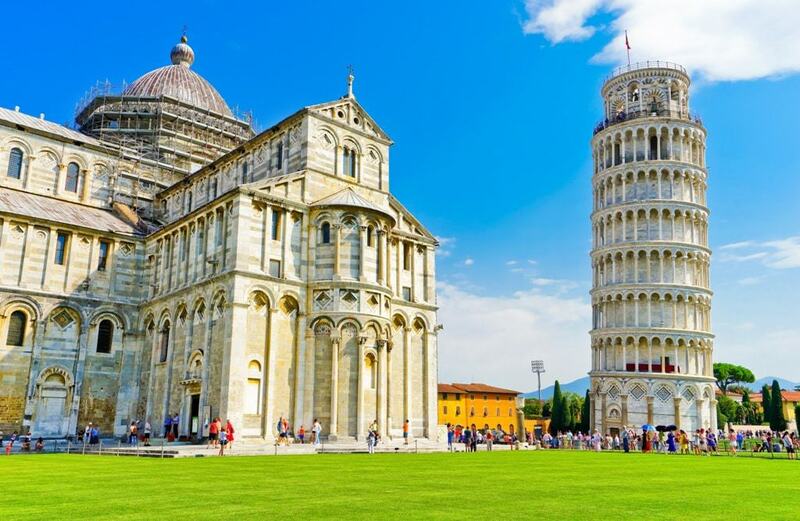 Please note that the train station in Pisa is 1,8 km away from the Leaning Tower of Pisa. It will take you about 25 minutes on foot to get there. Guided tours can not only help you to see the city better but can allow you to navigate around the city easier. One guided tour method that is very helpful is a hop-on-hop-off bus which will take you around to various spots in the city you can view. If you want to experience one spot a little more, you can get off the bus and see it and then wait for another bus to come by to pick you up. This is a very convenient way to get around if you don’t want to walk around the entire city. 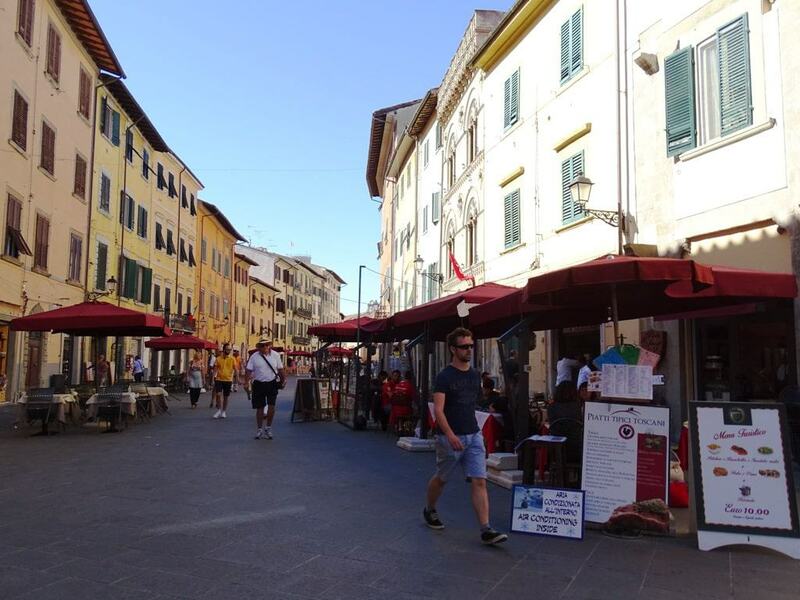 Half day trip to Pisa from Florence including entrance fees. 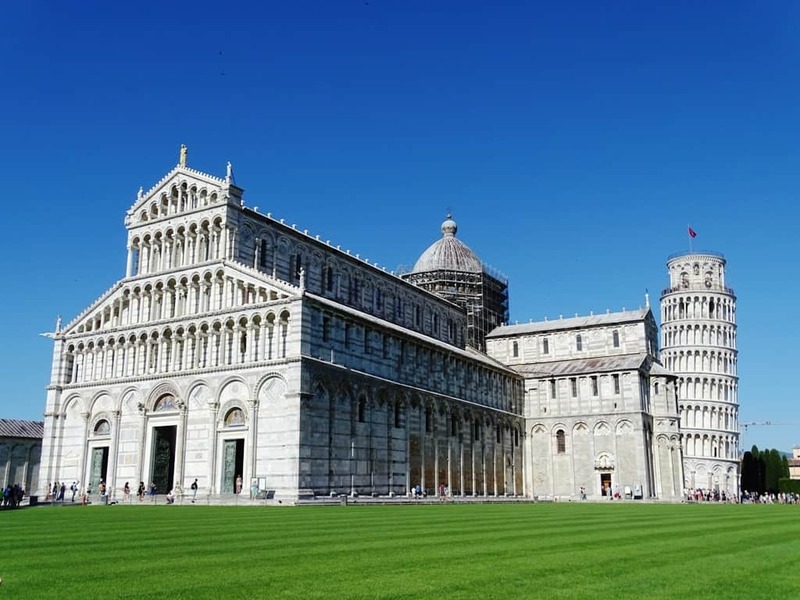 Half day trip to Pisa from Florence without the entrance fees. 8-hour excursion from Florence to Pisa and Lucca. 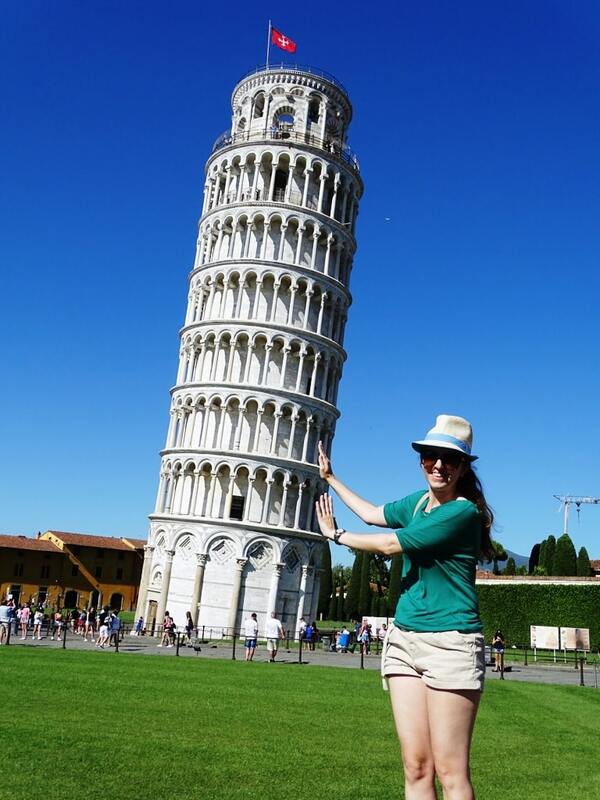 A trip to Pisa isn’t complete without a visit to the iconic Leaning Tower of Pisa. Built in 1372, this historic structure is known worldwide for its remarkable tilting. It’s part of the Piazza dei Miracoli and was the spot where the astronomer Galileo was baptized. 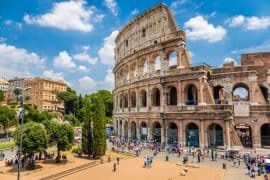 You can climb up to the top to get stunning panoramic views of the city below but keep in mind you need to buy tickets in advance which are often limited if you want to do this. Click here for more information and to buy your reserved tickets. 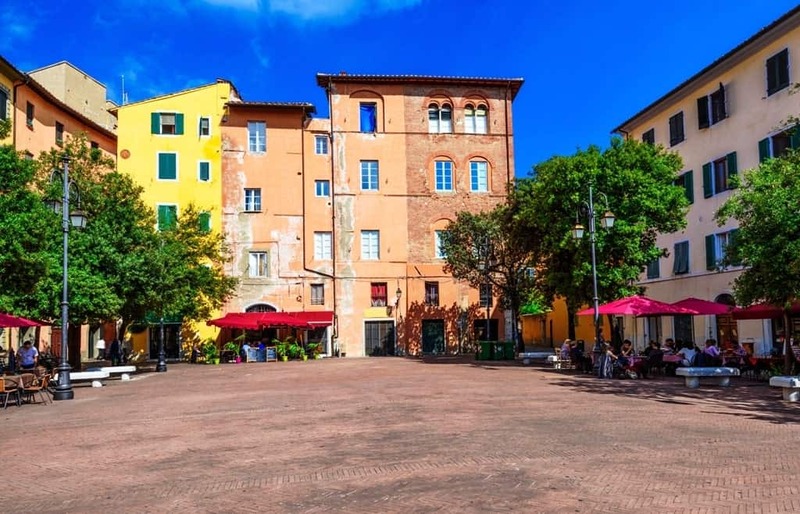 As one of Pisa’s main squares, the Knights’ Square was once the main political hub in the city. It was the place where the Order of the Knights once gathered and features palaces, political centers, and art you can view. Some of the top places to visit in the square are the Church of Santo Stefano dei Cavalieri, the statue of Cosimo I, and the Muda Tower. This beautiful cathedral is created out of a smooth white marble and was the creation of the famous Italian architect Buscheto.It’s made of various architectural styles and the interior features stunning frescos and art pieces that depict various scenes from the Bible. 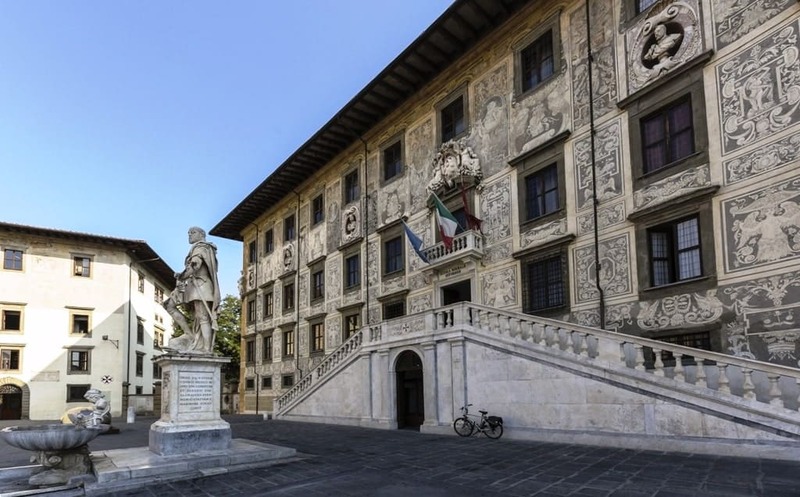 The Cathedral Museum is full of ancient objects and art you can view from various parts of Italian history, like many paintings by the artist Giovanni Pisano. Once an Episcopal seminary, the Cathedral Museum has plenty of art you can gaze at which makes it perfect for art lovers to visit. Besides having remarkable collections, this museum also gives incredible views of the nearby Leaning Tower of Pisa. You do need to get tickets to get into the museum so it’s a good idea to buy them in advance before visiting. This museum is filled with sketches done by the early Masters that were rescued from the nearby Camposanto Monumentale, a local cemetery. These faint drawings, known as sinopia, were restored after having suffered immense damage throughout history. They are the outlines that these great artists used before they created their frescos which makes them extremely historic objects to view. Located in a former 14th-century church, this museum also features stunning architecture designed by Giovanni di Simone. When you’re done gazing at the historic sketches, you can admire Simone’sintricate work that surrounds you. Borgo Stretto was once the center in the old town part of Pisa. This section of the city was where prominent Italian families once lived and their colorful homes now serve as restaurants, cafes, and markets. 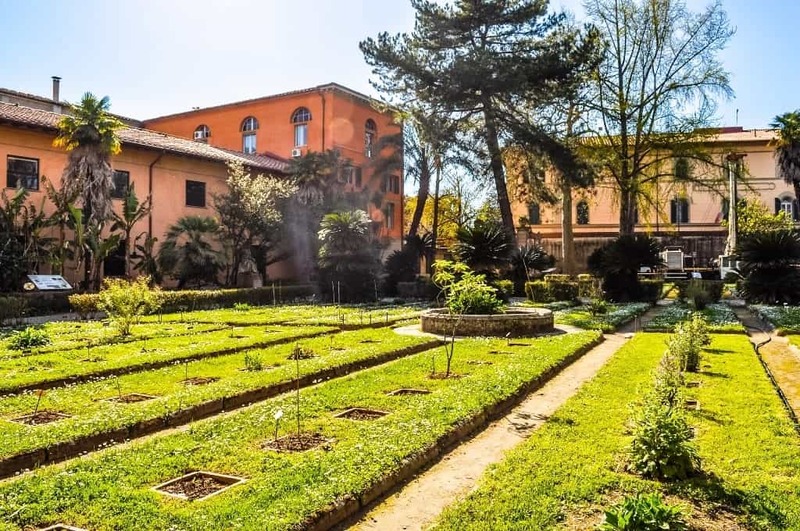 You’ll be able to view the house that Galileo Galilei was born in here and sometimes outdoor concerts also take place here that you can enjoy listening to. The Ponte di Mezzo is a bridge that spans the Arno River. This bridge gives beautiful views of the river and of the historic buildings that line it. It’s made out of a sturdy white Verona stone that beautifully reflects off the water below it. It’s one of the top destinations in the city to view the sunset and if you visit in June, you can experience the Bridge Game, a historic festival that takes place on it. Designed by the Grand Duke of Tuscany back in 1544, the Botanical Garden of Pisa is one of the first botanical gardens to have been created in Europe. Besides its intricate history, the garden boasts amazing plants and sculptures you can enjoy looking at. You can wander around on its winding paths while gazing at fragrant flowers, herbs, and exotic aquatic plants and even visit its iron-framed greenhouse which is one of the oldest in the country. In addition to this, you can even view Ginkgo biloba trees that were planted back in 1787. 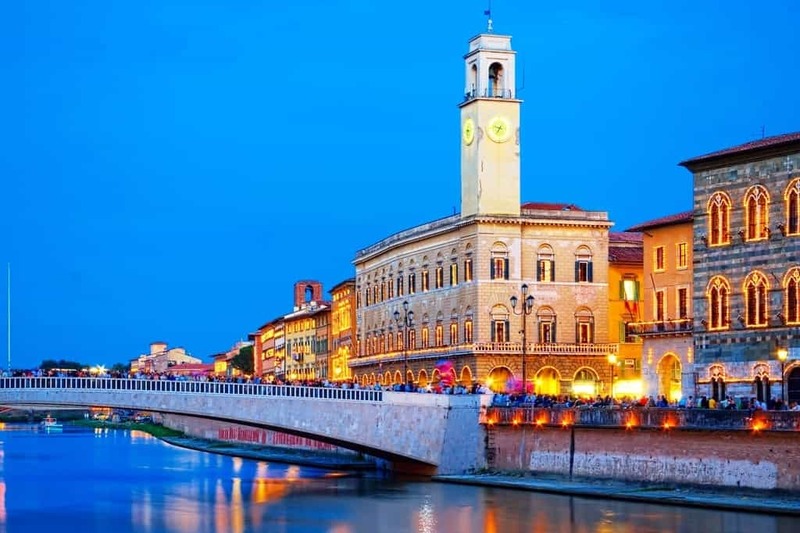 Pisa is a beautiful city and one that anyone visiting Italy should definitely venture to. There are plenty of transportation methods you can use to help you get here and many attractions you can view while in the city. It’s the perfect place for fans of art, history, and culture to visit. Even with just one day in Pisa, you’ll be left amazed by its incredible beauty and history. 4 days in Florence in Tuscany. 45 things to do in Tuscany. The most beautiful hilltop villages in Tuscany. 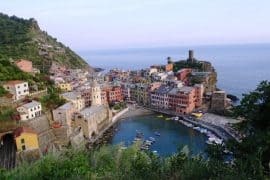 The most beautiful Italian Riviera towns. 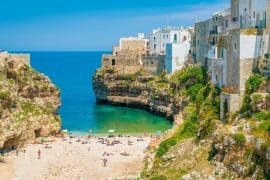 What to pack for your trip to Italy.